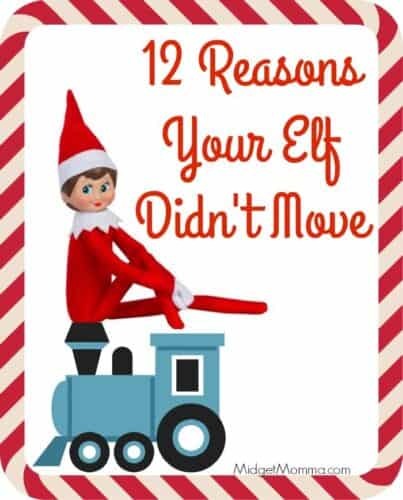 If your elf didn’t move and the kids are wondering why then you are in luck with these 12 Reasons Your Elf Did not Move! 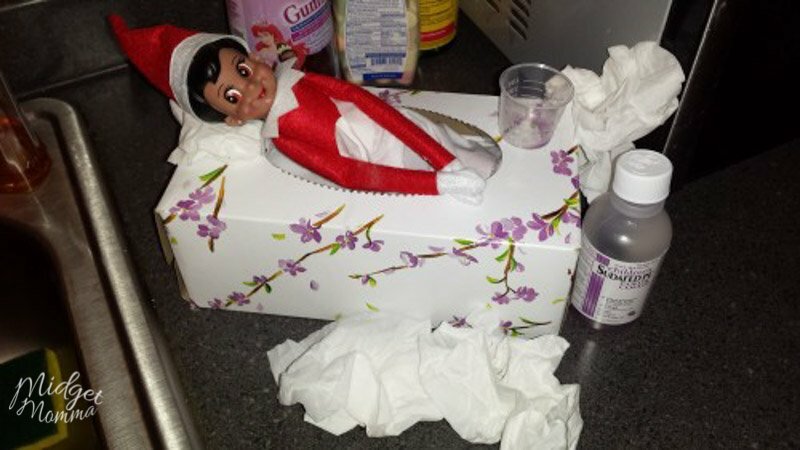 We all have those nights as parents, when we get up in the morning and the kids scream “Mom, Our Elf didn’t move” then we need to be quick on our feet before we have even had our morning cup of coffee to come up with a reason that the elf is still in the same spot it was the previous day. It is a hard task, but hopefully these 20 reasons why elf did not move help you when the kids ask about their elf who is still enjoying the previous spot. Now for when your elf does move, check out this list of 135 Elf on the Shelf Ideas and this post for how to introduce Elf on the Shelf. If you have never done Elf on the Shelf then make sure you check out how to Start elf on the shelf! It is filled with all the information you need to know before getting started with elf on the shelf. Then you can use all of these elf on the shelf ideas to have a ton of fun during the self visiting season! Plus you can print the 24 Easy Elf on the Shelf Ideas calendar so you don’t have to worry about planning, just follow the calendar and have your elfy fun each day! Have a toddler? Check out the Elf on the Shelf Ideas for Toddlers! He went home, but maybe he just liked that spot so much yesterday he went back to it. He heard someone walking when he was getting ready to leave and didn’t want to get caught moving. Maybe he had a visitor, and got to busy talking that he didn’t have time to move. I think I heard voices last night. The cats were watching him and he thought they would try to get him when he went to move. He looks like he might not be feeling well, maybe he was sick last night and could move because he felt sick. Bad weather- He got word that there was bad weather at the North Pole so he stayed where he was. 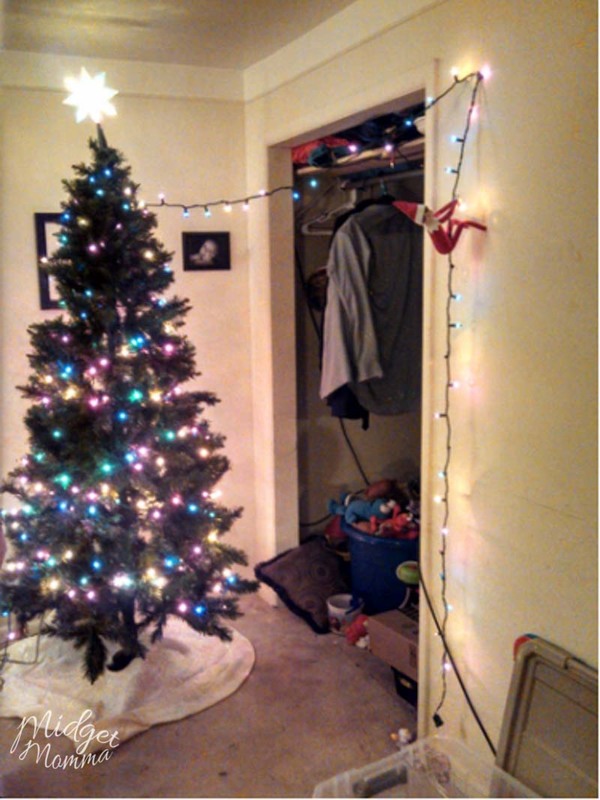 He is stuck- tell the kids to grab a spoon or tongs so you can pry him free so he can leave that night. He is being a trickster! You all looked everywhere in the house and he went back to his spot from yesterday! Get the EXCLUSIVE Good-Bye letter Printable! 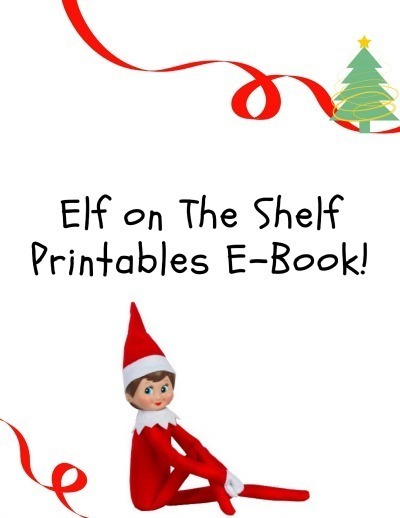 In this FREE E-book you will get 3 Printables to make your Elf on the Shelf adventure easier! 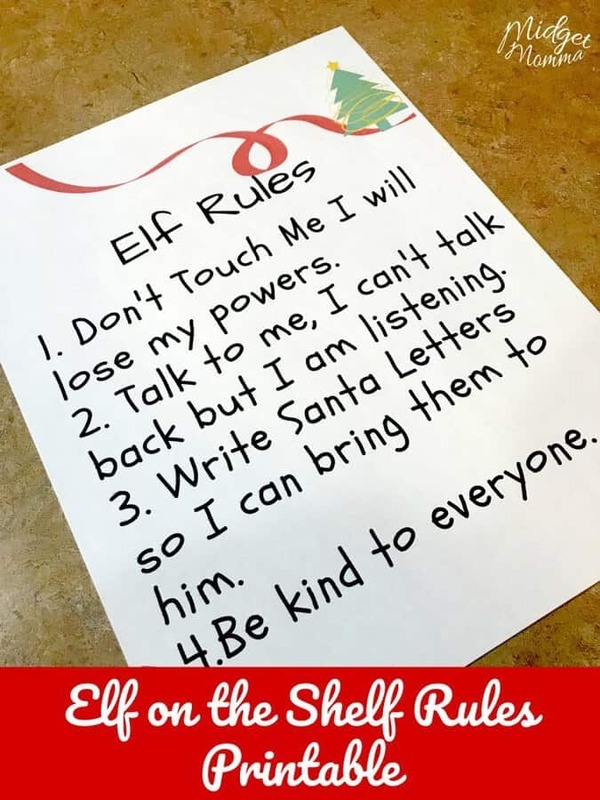 It includes Elf on the Shelf Welcome Letter, Elf on The Shelf Rules and Elf on the Shelf Good-Bye Letter. Just fill out the form below! 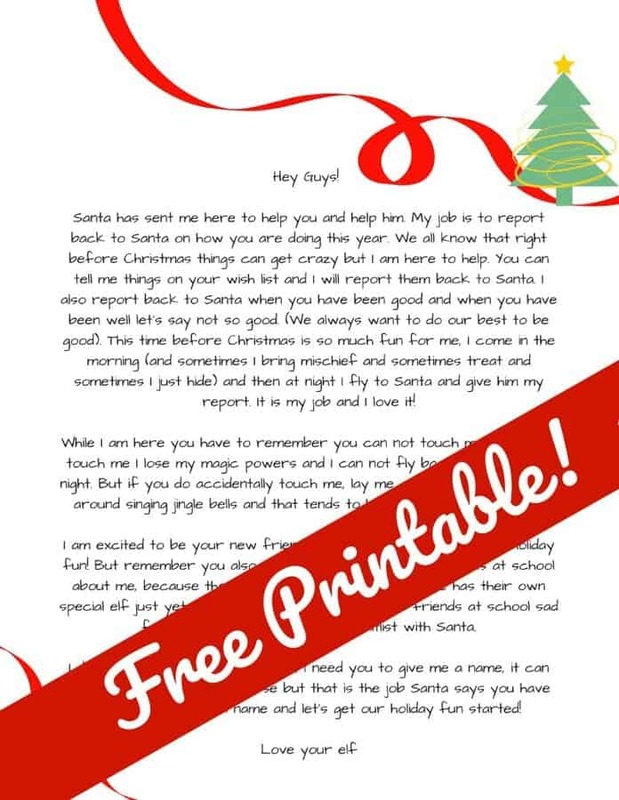 Sign up for our Newsletter & Get the FREE Elf on The Shelf Printables E-Book! 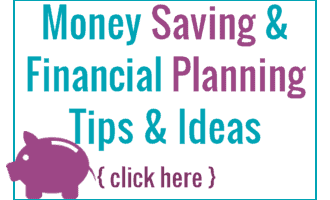 Subscribe to get our latest content by email. AND Get your FREE Elf on The Shelf printables e-book when you join our newsletter! You can Facetime Santa for a fun Santa Phone Call! There are so many tasty Christmas treats that the kids will love and they are all perfect for any kids Christmas parties that you might have. Some of our favorite Christmas treats are Santa Hat Cupcakes and Whoville Cookies ! But you can check out the full list of Kid Friendly Christmas Treats and pick out your favorites to make with the kids! If you are looking for cookie recipes we have you covered there too! Check out our Beautiful Christmas Sugar Cookies, and Christmas Tree Desserts Recipes! We are so excited to begin the elf o the shelf journey with our daughter Annabelle.